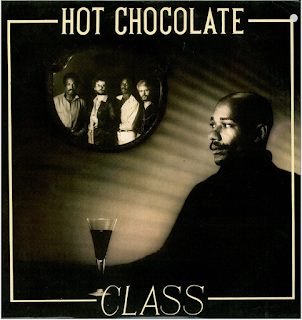 This was another in the sequential decline in the overall quality of Hot Chocolate albums as the eighties approached, although, for me, it is superior to the previous, disco-oriented "Going Through The Motions". The opener, “Love Me To Sleep” is a slow ballad and quite a low-key start to the album. “Losing You” is a bit of a “So You Win Again” re-write, musically and vocally, while ”Gotta Give Up Your Love” has strong snatches of the bass line from Roxy Music’s “Love is The Drug”. Once again, like the material from the previous album, it is an unremarkable dance groover of a track. A cover of The Police’s “Walking On The Moon” is next and it is credible enough, although it may hint at the lack of new material, as indeed does the next track, a somewhat surprising cover of Elvis Costello’s “Green Shirt”. 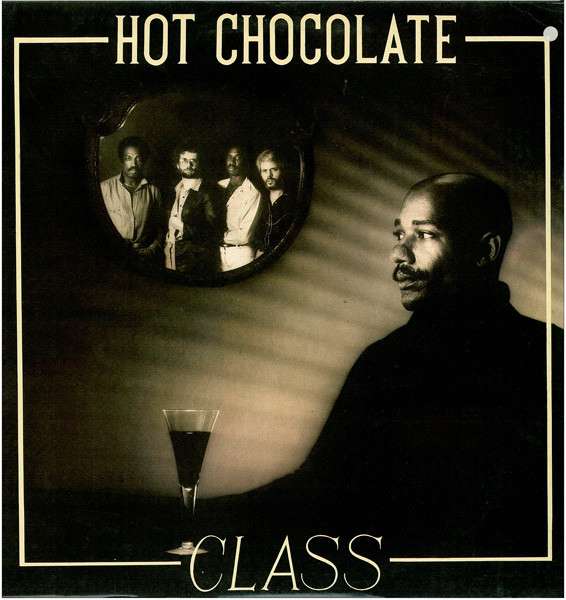 It seems to suit Errol Brown’s voice, though, and the rendition is a suitably beguiling and mysterious one. Costello’s perplexing lyrics don’t quite suit though. An odd choice, it has to be said. “Children Of Spacemen” is slow, piano-driven song that questions our existence. It is also a rather odd song. The group became a bit concerned wth spacemen and the like around now, continued in their hit single about UFO’s, “No Doubt About It”. 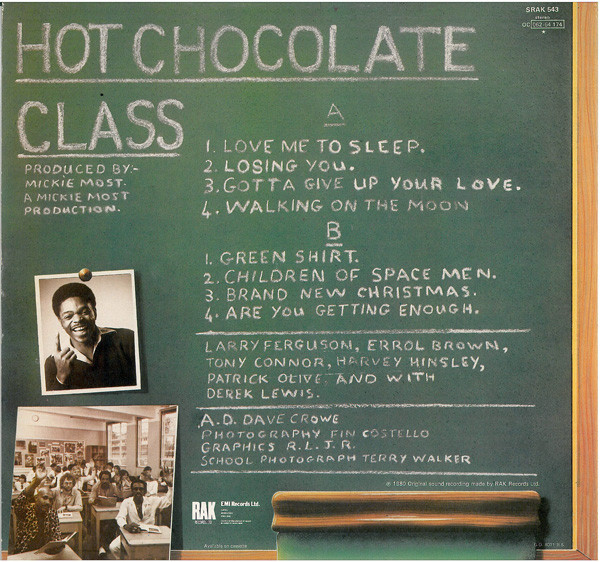 “Brand New Christmas” is a song that recalls the group’s socially-aware mid-seventies material. It is the funkiest thing on the album, with some enticing wah-wah guitar backing. Despite its title, it is not really a Christmas song. The one really upbeat, typically Hot Chocolate song is the closer and hit single, “Are You Getting Enough Happiness”, which was in their lively disco/soul style. Overall, however, while this was an “alright” album, it was nothing special, following a downward trend in all their albums since 1977’s “Every 1’s A Winner”.